Ask the Expert...How do I Prepare to Evacuate? Ask the Expert…How do I Prepare to Evacuate? Last year, several wild fires raged all over Utah, Wyoming, and Idaho. Our Casper, Wyoming General Manager and his family had a fire so close to their home, they were placed under evacuation notice. Consequently, it got us thinking, what should one do to prepare to evacuate if that were to happen close to their home? A great place to start is with making or purchasing a 72 Hour Kit for each memeber of your famlily. 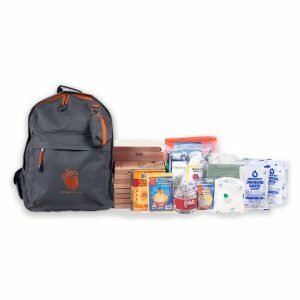 72 Hour Kits are meant to be a grab and go item in case you need to evacuate. Commercially, 72 Hour Kits are available to buy, but if you are packing the recommended one kit per person in your family, it may be more economical to pu together each kit yourself. Keep your children and family members involved to, they can help remind you of what they would. In addition, don’t forget about your pets! Below is a list of reccommended items for each person. Click on the image to purchase a 72 Hour Kit. -Candy or Gum (mint tends to flavor everything around it and gummy candy tends to melt), and one gallon of water per person per day. It is especially relevant to pack for young children or anyone with a special diet, make sure you have appropriate food packed for their individual needs. These are handy items to keep separate from your camping gear. Remember, you need to be able to grab and go. -Travel Sizes in each bag are easier to pack away. -Ibuprofen, Acetaminophen, Children’s medication, and allergy medication. -Enough Prescription Medication to last at least three days. Furthermore, check your 72 Hour Kits every six months or so to rotate out food and add to it if needed. Consider keeping a few games and toys handy as well; a deck of cards goes a long way when you need to kill time or stay occupied! For more information, visit ready.gov to learn what else you could include in yout 72 hour kit to better prepare you if you have to evacuate!